An urban MTB with a comfortable riding posture and reactive mechanical disc brakes. 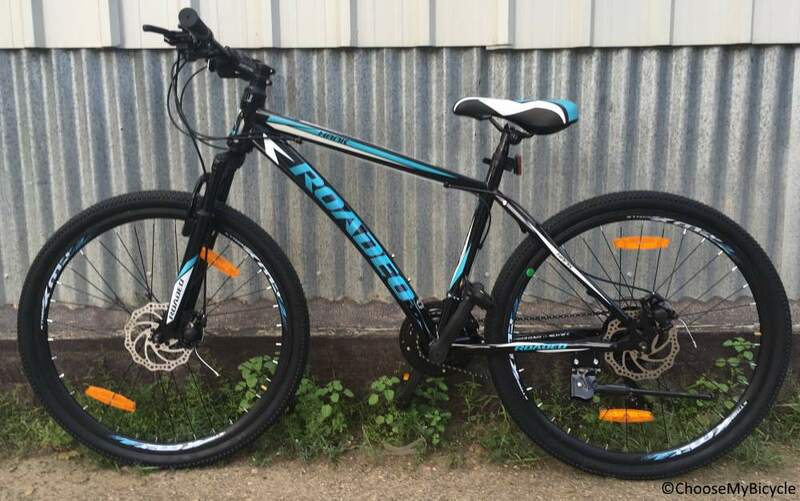 Roadeo has been an established bicycle brand for many years now. Their cycles are mainly targeted at teenage riders, mainly for commuting and leisure riding in the neighborhood. 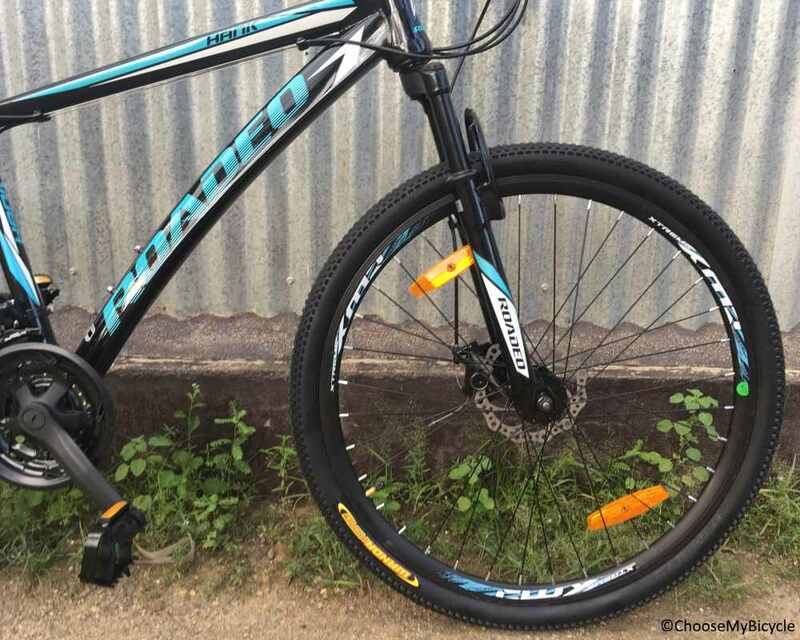 Over the years Roadeo has developed its bicycles to be ridden by adults as well and also on rough flat trails. From the 2018 range of Roadeo we got the opportunity to test ride the Hank 26 Black and here is what we thought. The Hank series of bicycles are one of the most popular ones in the Roadeo series. They have constantly been known for their frame which is strong yet not the heaviest, even though they are made of steel. The 2018 Hank 26 21-Speed is also the same with its frame being responsive and can take a lot of hard hitting of bumps and curbs on urban roads. The frame geometry is a conventional MTB frame with a slightly slanting top tube. There is also a lot of clearance from the bottom bracket to the ground. An urban MTB’s is what the Hank can be categorized as and they come with a front suspension fork with a minimal travel and isn’t the smoothest. But it does the job when riding overs bumps on city roads. The Hank comes in many variants, and they all come in different colour options. 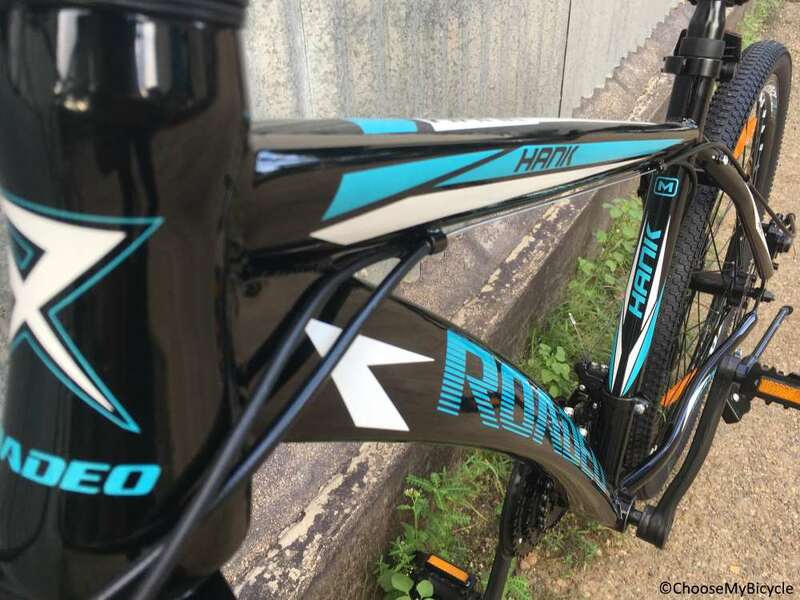 The Hank 26 21-Speed which I test rode came in a full black frame with blue and white graphics. The gloss paint job was neat and shiny with smoothly welded tube joints. The frame geometry is simple and also gives a comfortable riding posture. The saddle, rims are colour coded and make the bicycle look aesthetic. The Hank 26 Black comes equipped with Shimano Tourney at the front and rear as derailleurs. These are entry-level gearing components in Shimano’s MTB and Hybrid hierarchy and they performed to their limits during the test ride. On urban roads riding amidst traffic, these derailleurs were ideal for quick and short gear changes. The EZFire Shimano trigger shifters were easy to use and in easy reach from the handlebar grips. A pair of C-Star BX-350 mechanical disc brakes at the front and rear handles this urban MTB’s stopping power. These brakes were powerful, safe and balanced to use when used on rough and smooth roads. Both interval and jamming of brakes felt in control when tested during the test ride. The XMR Alloy 600mm handlebar on this bicycle was both comfortable and wide enough to give the rider an open chested riding posture. The Wanda 26” x 2.1” MTB tires on the Hank 26 Black was treaded enough to generate a decent amount of traction of the tarmac. The 26” wheel size is a bit small to tackle rough roads but it does have a fast rolling resistance, which is useful for commuting. The soft PU XMR saddle wasn’t the most ergonomic but it was cushioned enough to keep the rider comfortable. This urban MTB has a comfortable riding posture with a simple frame geometry and wide handlebar. 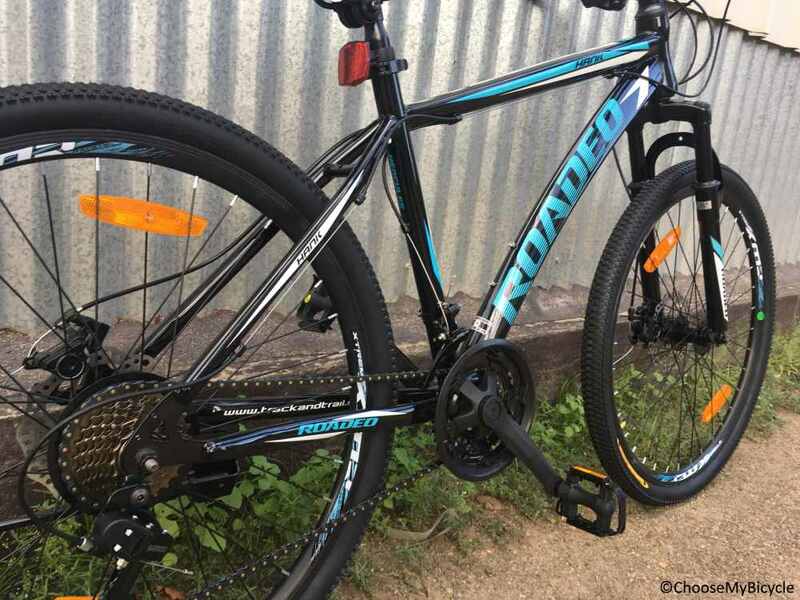 The reactive mechanical disc brakes were a good addition for a bicycle at this price. The gloss paint job was neat and not a real head turner in the graphics department. Priced at Rs.12,325 the Roadeo Hank 26 Black is an ideal choice for anyone looking to buy a bicycle for short commutes and leisure rides on both rough and smooth urban roads.